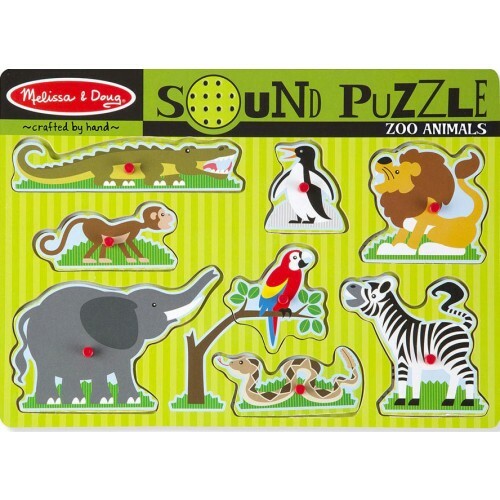 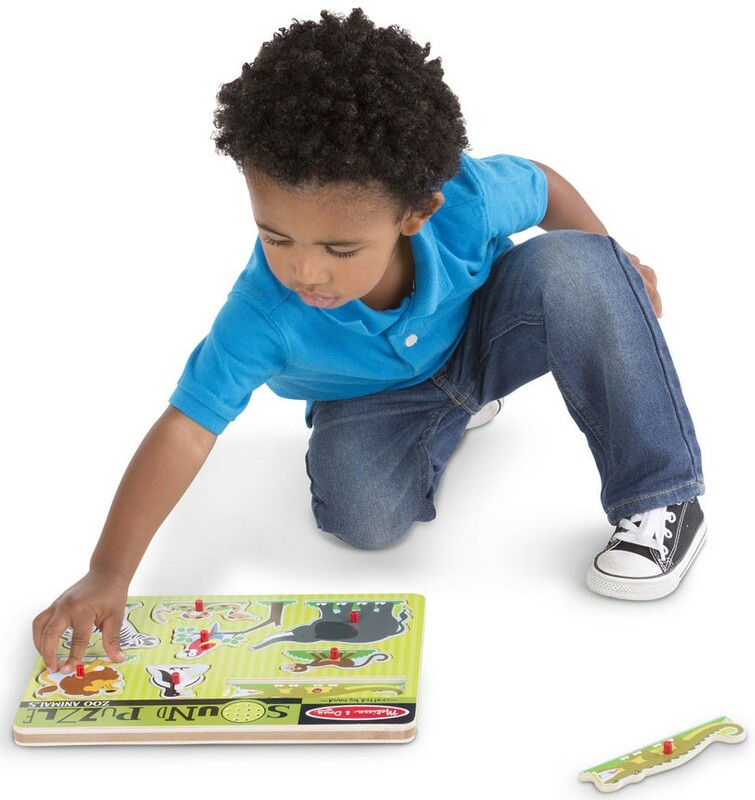 Get the Zoo Animals 8pc Wooden Sound Puzzle by Melissa & Doug and listen to the voices of your toddler's 8 favorite zoo animals when the wooden puzzle pieces are correctly placed in the puzzle board! 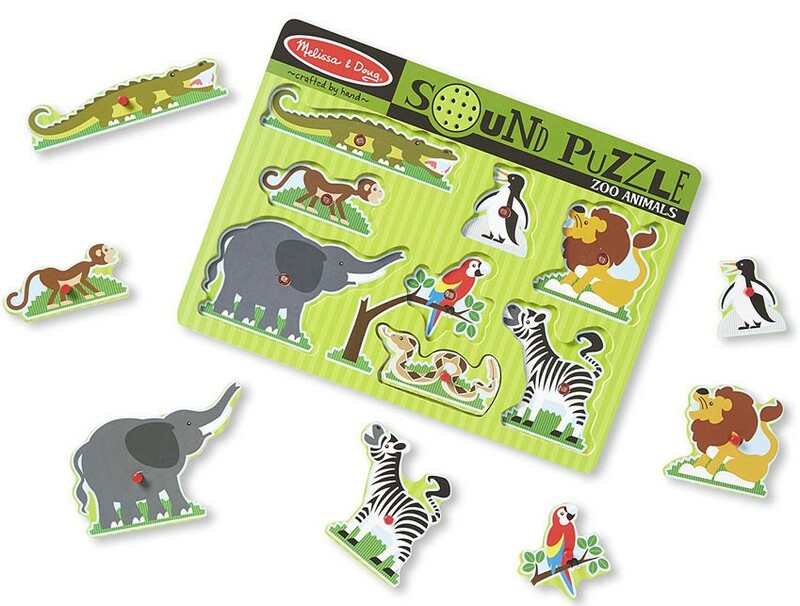 You don't have to go to the zoo to get familiar with zoo animal sounds. 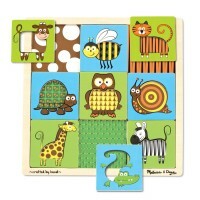 Get the Zoo Animals 8pc Wooden Sound Puzzle by Melissa & Doug and listen to the voices of your toddler's 8 favorite zoo animals when the wooden puzzle pieces are correctly placed in the puzzle board! 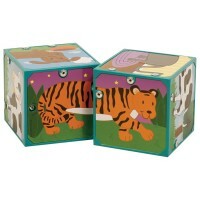 Each wild animal piece has a peg for easy grip and matching full-color picture beneath. 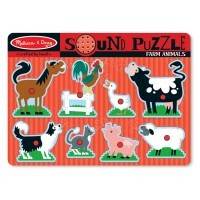 This colorful sound puzzle enhances spatial thinking and cognitive development. 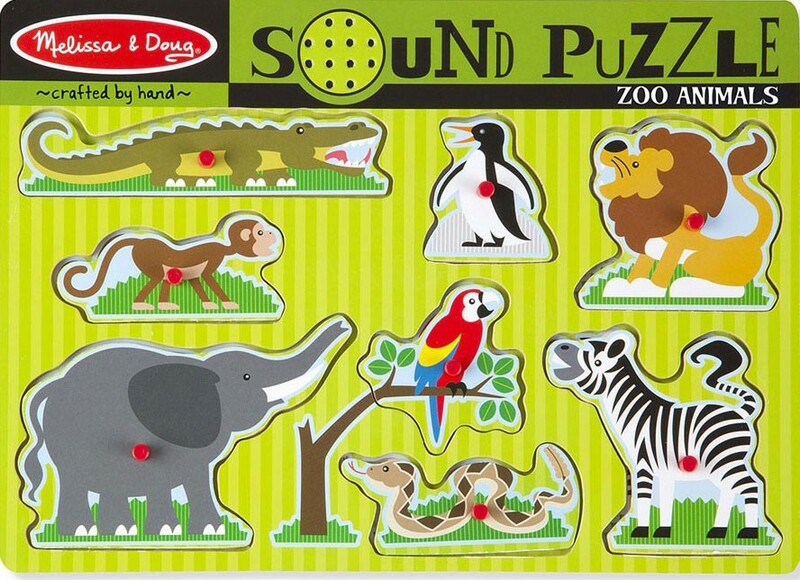 Zoo Animals 8pc Wooden Sound Puzzle from Educational Toys Planet includes 8 pieces: an elephant, a parrot, a zebra, a lion, a penguin, a snake, and an alligator. 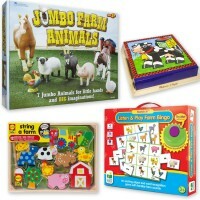 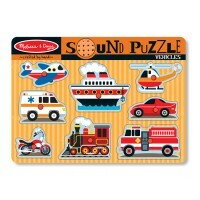 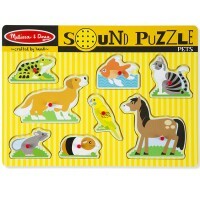 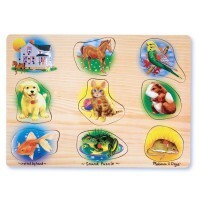 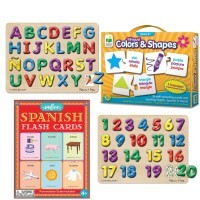 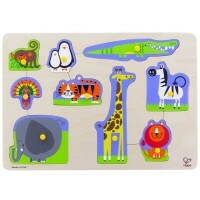 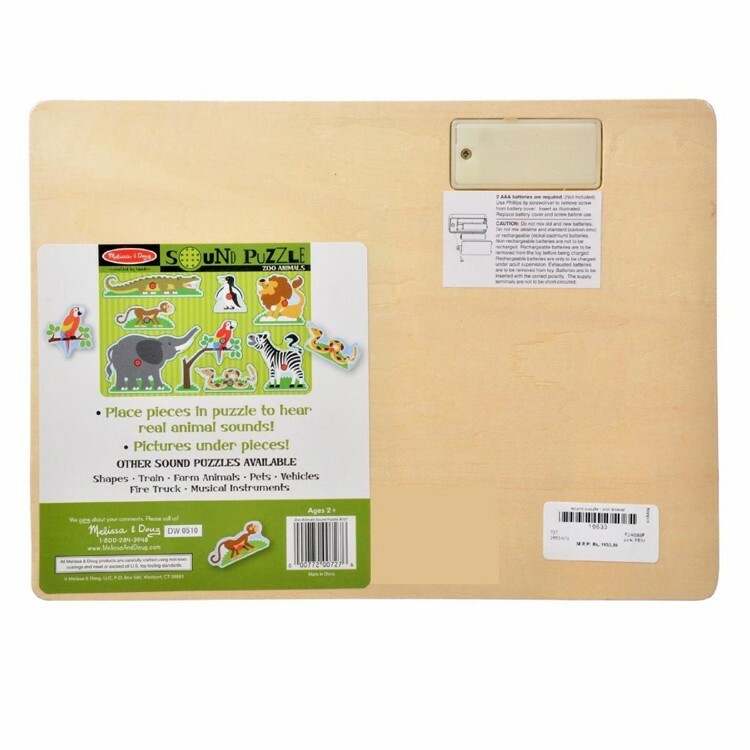 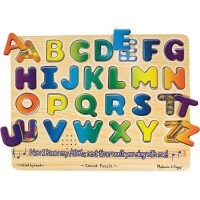 Dimensions of package 1" x 12" x 8.5"
Write your own review of Zoo Animals 8pc Wooden Sound Puzzle.